I was originally going to post our bathroom and our bedroom together, but as I haven’t gotten to snap photos of our bedroom yet, that will have to wait until next time. 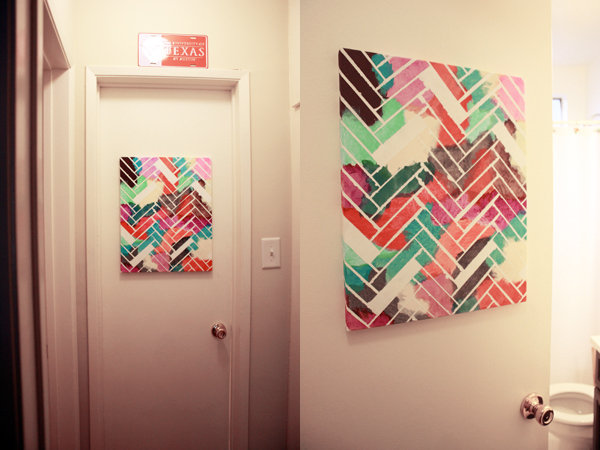 So for now, here are some photos of our quaint little bathroom. 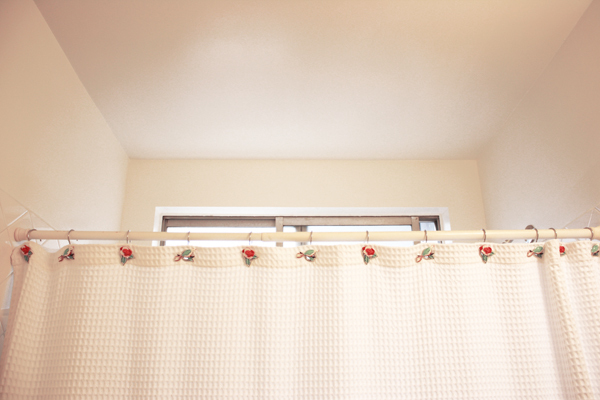 I wanted to keep it clean looking (since we all know bathrooms tend to become the dirtiest places in the house), so everything is simple and color coordinated. The problem with white, especially on the floors, is they get dirty so quickly. 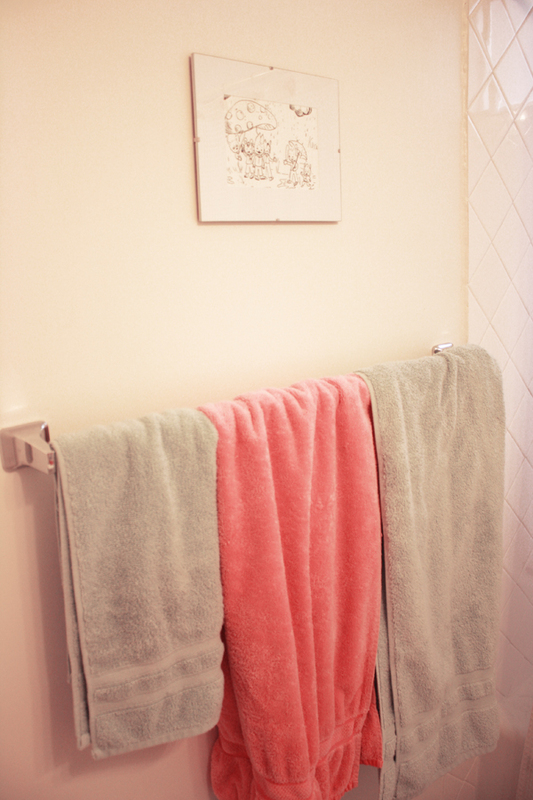 We even have white mats (bad idea) but have them covered with teal, bath mat towels. Our bedroom is located just to the left of this “hallway”. 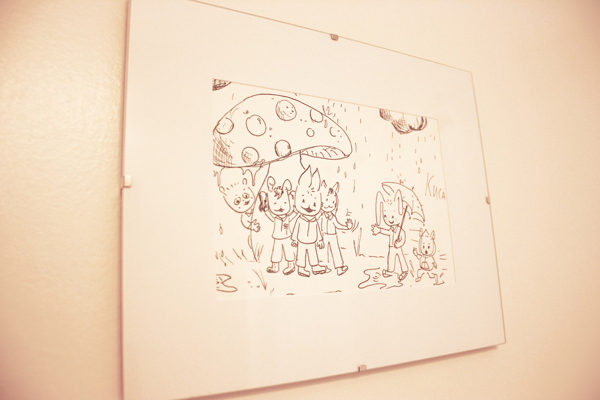 This artwork finally found a “frame” and a home in the bathroom. I wanted something on the wall, but Whitney and I both felt it would be weird to have photos of people on the bathroom wall. As you can see, our bathroom is not big (but I’ve seen smaller). 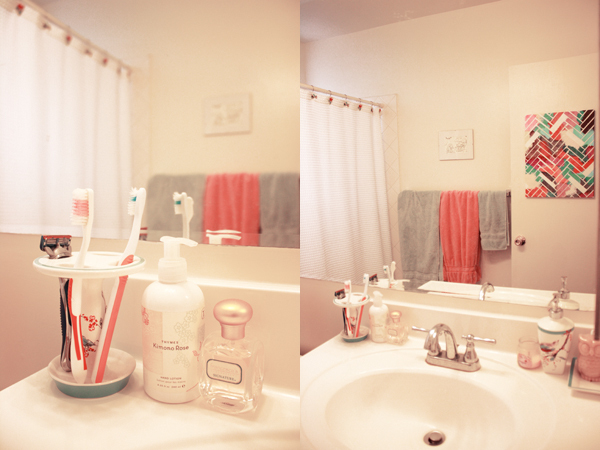 I had to get creative to get shots of the bathroom without me in the photo. Luckily there is pretty drawer and cabinet space right below the sink and a medicine cabinet to store our bathroom essentials. 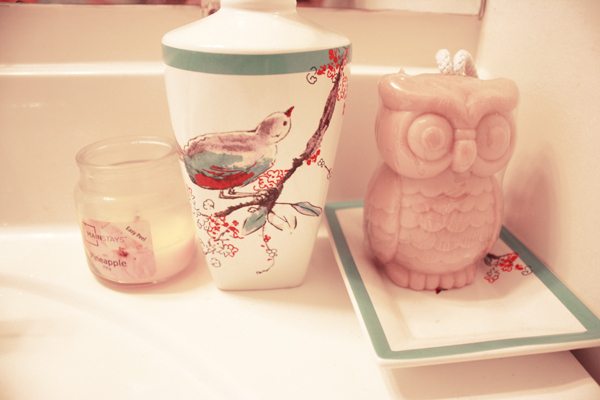 And in case you were wondering, our bathroom “things” are from the Lenox Chirp collection.